A lot has changed in this view since this picture was taken in 2004. The project to completely reshape the whole waiting area had only just begun, huge amounts of rocks and earth were still going to be excavated behind the red and white barrier. Probably the biggest construction project on Islay ever. 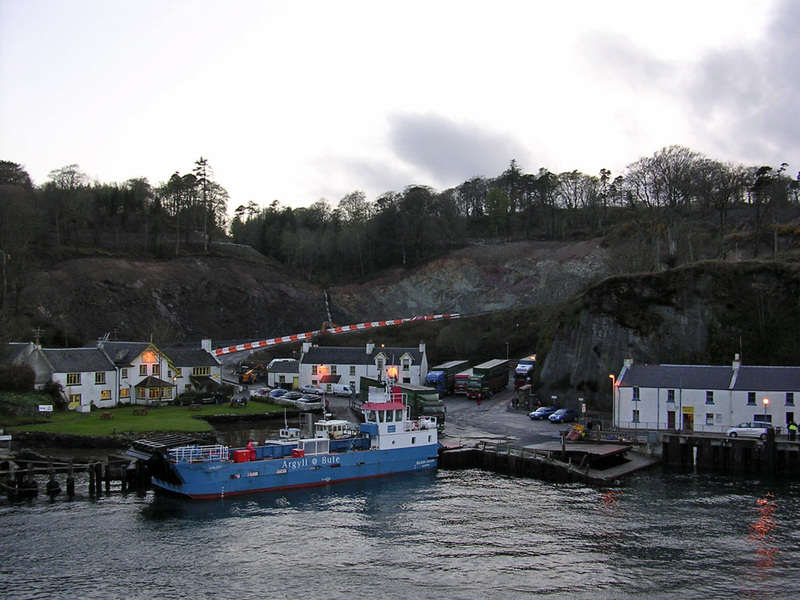 This entry was posted in Cloudy Weather, Landscape, Repost, Village and tagged ferry, Islay, MV Eilean Dhiura, Port Askaig, Sound of Islay by Armin Grewe. Bookmark the permalink.